On Thursday 13 June 2019, Solarplaza will organise the 11th annual edition of the leading business and strategic platform for the Dutch solar energy market. 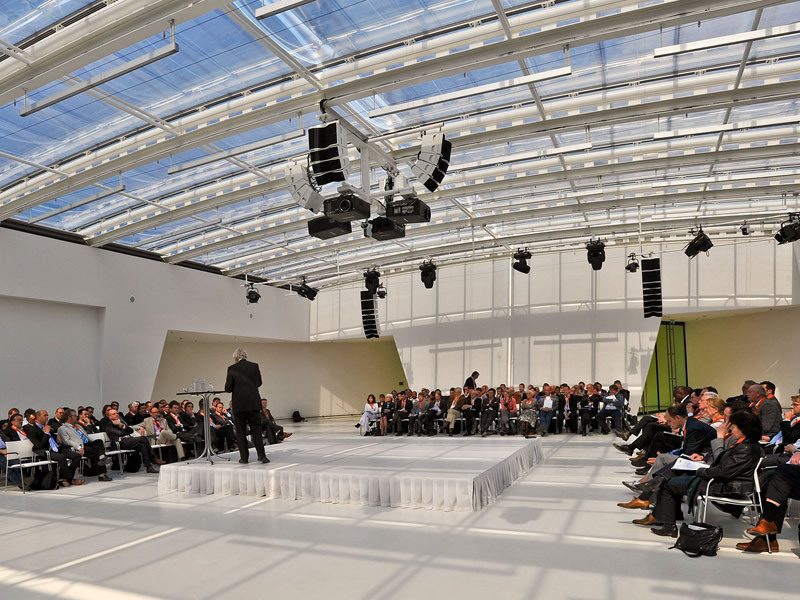 On the 17th of May, 300 top executives in the Dutch solar PV market gathered in Utrecht to network and discuss the latest developments and trends. More foreign companies than ever before joined this 10th edition of The Solar Future NL, organized by Solarplaza, clearly reflecting to growing interest in the market from abroad. Varun Sivaram is a physicist, bestselling author, and Chief Technology Officer at ReNew Power Ventures, a multibillion-dollar renewable energy firm that is India’s largest by installed capacity. He is also an adjunct senior research scholar at Columbia University, a board member for the Stanford University energy and environment institutes, and an editorial board member for the journal Global Transitions. Most recently, he was a fellow at the Council on Foreign Relations in Washington D.C., where he directed the Program on Energy Security and Climate Change. He was also an adjunct professor at Georgetown University. He is the author of the bestselling book, "Taming the Sun: Innovations to Harness Solar Energy and Power the Planet" (MIT Press, 2018), which the FT called “the best available overview of where the solar industry finds itself today, and a road map for how it can reach a brighter future.” He is also the editor of the book, "Digital Decarbonization: Promoting Digital Innovations to Advance Clean Energy Systems" (CFR Press, 2018). Dr. Sivaram has previously served as senior energy advisor to the the mayor of Los Angeles and the governor of New York, and as a consultant at McKinsey & Company. A Rhodes and a Truman scholar, he holds a PhD in condensed matter physics from St. John’s College, Oxford University. He also holds degrees from Stanford University in engineering physics and international relations. Prof. dr. Wim C. Sinke (1955) is Principal Scientist Solar Energy bij ECN part of TNO. Hij is tevens bestuurslid van de TKI Urban Energy, de nationale publiek-private samenwerking voor energie-innovaties in de gebouwde omgeving, inclusief zonne-energie. Daarnaast is hij co-chairman van het European Technology & Innovation Platform Photovoltaics (ETIP PV), deeltijdhoogleraar Photovoltaic Energy Conversion aan de Universiteit van Amsterdam en als gastmedewerker verbonden aan onderzoekinstituut AMOLF. Wim Sinke studeerde experimentele natuurkunde aan de Universiteit Utrecht en deed van 1981 tot 1985 promotieonderzoek op het gebied van zonnecellen bij het FOM-Instituut AMOLF in Amsterdam. Vervolgens werkte hij als postdoc bij het Hitachi Central Research Laboratory in Tokyo en enkele jaren als groepsleider bij AMOLF alvorens in 1990 bij ECN in dienst te treden om het onderzoeksprogramma op het gebied van fotovoltaïsche zonne-energie (PV, ofwel zonnestroom) op te zetten. Sinds 1 april 2018 hebben ECN en TNO hun krachten op energieonderzoekgebied gebundeld en “ECN part of TNO” gevormd. Voor zijn onderzoek aan zonnecellen en zijn bijdragen aan ontwikkeling en toepassing van PV ontving hij 1992 de Jacob Kistemakerprijs van de Stichting FOM, in 1998 de NOZ-PV Prijs van Novem (nu RVO.nl), in 1999 de Koninklijke/Shell Prijs voor Duurzame Ontwikkeling en Energie en in 2011 de prestigieuze European Becquerel Prize. In 2015 werd hij voor zijn verdiensten op het gebied van zonne-energie benoemd tot Ridder in de Orde van de Nederlandse Leeuw. Sam Wilkinson is a Research Manager for the Solar and Energy Storage Research group at IHS Technology. During his time working within the group, Sam has been responsible for researching the PV inverter market and the PV module and poly-silicon supply chain working closely with leading global suppliers to develop detailed analysis on these markets. Sam has also been responsible for establishing primary research reports focusing on solar demand and policy, complementing IHS extensive research of the complete PV supply chain. Building on his experience in the solar research team, Sam established and now leads IHS Technology’s coverage of energy storage, covering a wide range of topics within this fast developing sector. Sam’s analysis and commentary is regularly published by leading PV and energy industry media and also the global press. He has also presented at many leading industry events and conferences. Before beginning his career at IHS, Sam worked as a Structural Engineer for one of Europe’s leading engineering firms. He graduated from The University of Nottingham with a degree in Engineering. Entrepreneurial networker both within and outside Triodos Bank. 20 years of experience in sustainable banking and impact investing, with a passion for making renewable energy and energy efficiency bankable. Itske previously worked as Investment Manager Nature and Environment and Microfinance with Stichting DOEN and as Business Development Manager and Country Director with a renewable energy development company in Central Europe. In the past 7 years she was Fund Manager of Triodos Groenfonds, investing in senior debt for projects in the Dutch renewable energy, organic agriculture and sustainable building sectors. TGF also invests up to 20% in renewable energy projects in emerging markets. In her current position as Director Energy & Climate of Triodos Investment Management Itske manages the business line Energy & Climate, with 1 bln assets under management through Triodos Groenfonds, Triodos Renewables Europe Fund and Triodos Vastgoedfonds. She also acts as Chair of the Council for Green Funds of the Dutch Banking Association. In that role she is closely involved in the Dutch Energy Agreement. Itske holds a master degree in East European Sciences (including Energy & Environment studies) from the University of Groningen. Siebren Zijlstra is CFO of GroenLeven. Before that Siebren assisted, as a Manager of the Business Development / M&A department of TenneT and owner of Sinne Wente, 10 years (2009-2018) in equity financing initiatives, M&A transactions and new business development / digitisation initiatives primarily with TenneT within the electricity and telecommunications sector. Siebren presents regularly as keynote speaker on strategic developments in society from a technological and capital markets perspective. The work at TenneT was preceded by setting up a Dutch office for Babcock & Brown, an Australian-based infrastructure investor. Siebren was Investment Director in Munich and Amsterdam originating and executing deals in North-West Europe (2006-2008). Prior to joining Babcock & Brown, Siebren worked within TenneT (2003-2005) in the areas finance, regulation, control, strategy and organisational development. Siebren started his professional career at PricewaterhouseCoopers, working for 5 years in the Corporate Finance division (1997-2002). Siebren holds degrees from the University Groningen, CFA Institute and INSEAD and has done edX courses on Solar Energy and Next Generation Infrastructures I / II from TU Delft. 'The Solar Future: NL' conference will involve 300+ high-level decision-makers from around the world. A wide range of opportunities is available to build and promote your brand to a diverse, yet focused group of high level international and local stakeholders including investors, financiers, project developers, EPCs, IPPs and manufacturers. Interested in sponsorship opportunities? Get in touch with our dedicated account manager. Past Webinar /// The Dutch Solar PV Market: market outlook & future grid developments explained. The Dutch PV market is flourishing and has now reached between 4.3-4.5 GW of cumulative capacity, growing by 1.3-1.5 GW in 2018 according to estimates from Peter Segaar (PolderPV). The SDE+ subsidy again led to thousands of approved applications for projects last year, and projects are increasing in size. However, the surge of solar PV in the Netherlands is also resulting in challenges. Especially for the country’s electricity grid, this is increasingly becoming the case. This complimentary webinar is meant to provide in-depth insights into the future outlook of the Dutch PV market as well as the future grid developments. Jaap Baarsma, chairman of Holland Solar, will provide an overarching perspective of the market covering topics such as the role of subsidies, PPAs, the electricity grid, and the national climate agreement. Subsequently Huibert Baud, Manager Strategy & Innovation at grid operator Liander, will discuss the future grid developments and the accompanying challenges and solutions that are being sought. Huibert Baud (46) is manager Strategy and Innovation at the Dutch regional network operator Liander. Liander distributes electricity to 3.0 million customers and gas to 2.9 million customers in about one third of the Netherlands. Liander is responsible for the maintenance, expansion and innovation of its grids. Liander also allows its customers to purchase energy from their supplier of choice. Liander is part of Dutch network company Alliander. The Strategy and Innovation department assesses the impact of long term trends at the grids and the operation of Liander. Huibert Baud studied Engineering Physics at Delft University of Technology and worked at several departments at energy company Nuon and Dutch network company Alliander. Jaap is sinds 2016 lid van het bestuur. Jaap Baarsma heeft zich na zijn wethouderschap in Zwolle vanuit zijn eigen bedrijf gericht op duurzame energie en in het bijzonder op zonne-energie. Hij heeft vele zonnestroom projecten helpen realiseren en is ook verantwoordelijk voor één van de grootste zon-thermische projecten in de bestaande bouw. Samen met een groep elektrotechnische bedrijven heeft hij EcoNed opgezet, dat als doel heeft om de duurzame energie bij de leden te stimuleren. In deze hoedanigheid heeft hij intensief samengewerkt met de groothandel. Daarnaast is hij directeur van een groot zonnepark in Spanje. The Dutch market will continue to draw attention and excitement, as well as offer plenty of opportunities for investors and developers alike. Coming June 13th, we will again assemble the most relevant solar professionals in the Dutch PV market, and discuss the challenges and opportunities at the 11th edition of the leading Dutch PV conference ‘The Solar Future NL’, in DeFabrique, Utrecht. 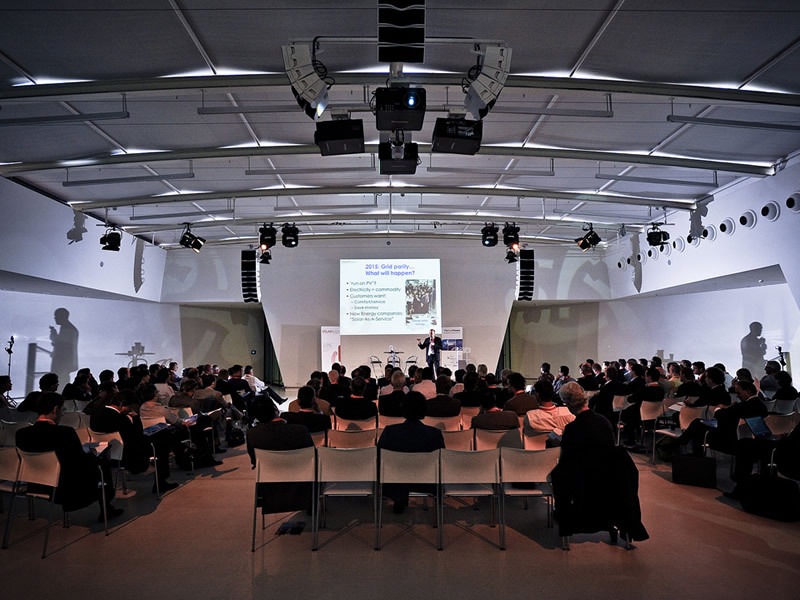 On June 13th, the 11th annual edition of The Solar Future NL will take place in DeFabrique, Utrecht. In preparation for this event, we’re diving into the market once again for an analysis of what is going on in terms of size, trends, projects, developers, technologies, and much more. For the second time, Solarplaza will support the ‘Vakbeurs Energie’ by contributing to the seminar program on Tuesday 9 October. Solarplaza will host two dedicated sessions and will be represented at the event by Tom van Dorp and Thomas Boersma. UTRECHT – With costs of PV-installations going down steadily and oil dominated electricity prices going up, solar power prices will beat those of coal or other power plants by 2021 in the Netherlands. SDE+ subsidies, which are too high, will be no longer needed. Though there are some concerns about extremely low margins in materials and operation & maintenance prices, which can lead to operational problems. With this new overview we want to provide our readers with an overview of the growth in the Dutch utility-scale solar market by highlighting the 20 largest PV projects that have been announced for The Netherlands. UTRECHT - To meet solar energy’s envisioned share in the 2050 energy targets, 10 percent of Dutch agricultural land should be repurposed as solar fields, new research shows. Many farmers and developers are working towards this goal. The effort requires careful planning, research into multi-use of farmlands and clear agreements with farmers and municipal governments. UTRECHT - In 2017, the Dutch solar energy market grew by more than 700MWp: a new record. This growth figure might actually double in 2018, but this potential appears to be threatened by a shortage in specialized and qualified workers at installation and construction companies needed to install all the solar rooftop and ground-based projects in the Dutch pipeline. he Dutch solar PV market is on the verge of tremendous growth and is set to - for the first time ever - exceed 1 GW of newly installed capacity in 2018 (GTM, 2018). This article will discuss some elements involved with the growth and trends of the Dutch PV market. On May 17th, the 10th annual and jubilee edition of The Solar Future NL will take place in DeFabrique, Utrecht. In preparation for this event, we’re diving into the market once again for an analysis of what is going on in terms of size, trends, projects, developers, technologies, and much more. With this first article we want to provide our readers with an overview of the Dutch utility-scale solar market. As prices are still going down each year and returns are still going up, the Dutch solar market will be able to compete with fossil energy generated from coal or gas without subsidy in 2020. Historically, central inverters have been mainly used in utility-scale projects. Larger power units lead to lower system costs by making installation, operations & maintenance easier. By contrast, string inverters were mainly utilized in complex terrain due to smaller power units and more MPPTs (Maximum Power Point Tracking). Big data analysis and cloud computing are rapidly advancing intelligent home management, including the management of energy generation and consumption. Meanwhile, households are getting smarter every day, with more and more computing devices and appliances connected by the Internet of Things, resulting in an increasingly responsive and interactive living experience. Michael Liebreich, chairman of the advisory board at Bloomberg New Energy Finance, discusses the trends they're seeing when it comes to the cost of electricity and renewable energy, and where they see these prices headed in the near future. (Source: Bloomberg). To get a grasp of which developers and companies are leading this movement, we dived into the data of the (granted) SDE+ subsidy applications and compiled a Top 20 overview of developers and their solar pipelines. The factories of the twentieth century are like the cathedrals of the Middle Ages; historic landmarks and inspiration to many. The industrial revolution brought about progress at a pace unknown to mankind. This drive to innovate and the industrial heritage linked to it push us to reach equal impact up until this day. DeFabrique organizes and facilitates events in a rustic factory environment, which has been repurposed as event venue with state-of-the-art facilities. Solarplaza has organized 10 editions of The Solar Future NL. Since 2009, we have organized The Solar Future NL on a yearly basis, always providing the highest level platform for knowledge sharing, idea generation, dealmaking and networking for those already involved in the Dutch solar market or interested in doing business in it. Each year the programme is tailored to the upcoming trends and needs in the market, collaboratively shaped by in-house experts and our strong network of experts and market leaders.